McLean on Lake Wylie offers unparalleled access to a community’s most valuable asset: nature. Whether you love to jog at dawn, stroll along the lakeshore at sunset, search for wildlife, play with the kids or tend a vegetable garden, McLean abounds with opportunities. Our master-planned community will preserve more than 100 acres for residents’ enjoyment. 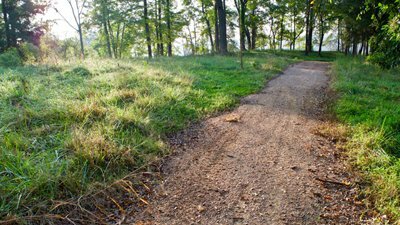 McLean’s initial phase includes nearly six miles of paved and natural-surface trails, woodland and waterfront refuges, a half-mile-long mountain biking course, neighborhood pools, clubs and playgrounds, and a community garden. The mountain-biking trail will open this year beside our Overlake neighborhood. 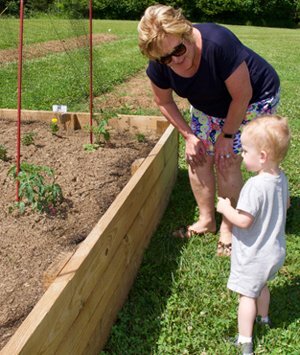 The community garden opened in 2018 beside the historic McLean House on Armstrong Road – also home to the Seven Oaks Café. Later phases of McLean include plans for a marina, a public park and more trails. McLean’s five miles of waterfront include many dockable homesites plus preserved lakeside areas such as McLean Point for the whole McLean community to enjoy. Boat owners can also dock their boats at neighboring Harbortowne Marina, a short walk by nature trail from South Shore. Perhaps our most exciting outdoor treasures are the Carolina Thread Trail and Seven Oaks Preserve. The Thread Trail will eventually connect the 14-county Charlotte region with 1,400 miles of public trails and waterways. More than 250 miles of trails and waterways are already open to the public, including the Seven Oaks Preserve Trail bordering The Conservancy neighborhood. The trail currently ends at the Daniel Stowe Botanical Garden, another natural delight. Do you like to paddle? 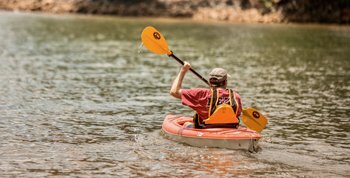 McLean also borders a watery part of the Thread Trail – the 27-mile-long Catawba River Blueway. Residents can keep their kayaks ready for adventure at a storage rack near the water in the South Shore neighborhood.